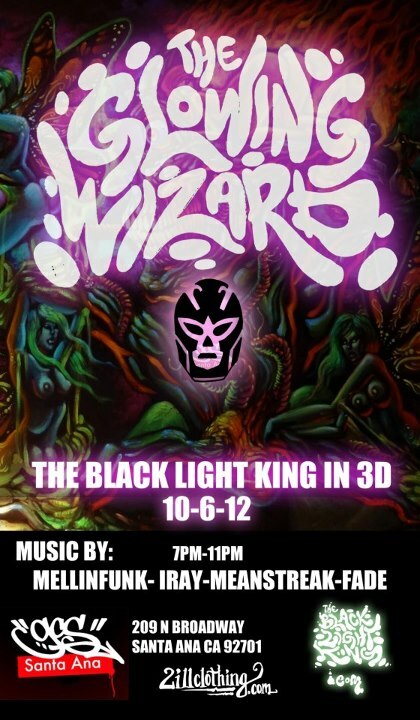 GCS Santa Ana presents “The Glowing Wizard”, an art show featuring new works by the Black Light King in 3D. This will be our first all black light show and Black Light Kings’ first solo show. Join us on October 6th!